Wyatt plans to hit a suburban law firm for the settlement money in its safe. But he’s working with cowboys, and the lawyer planning to rip off her boss is a little too mysterious for his comfort. Wyatt’s as good as they come, but everything needs to go like clockwork—and you can’t always plan around human frailty. This is the perfect introduction to an exquisite series: hard-boiled Melbourne in the time of video rentals and answering machines, paper money, Datsuns and Customlines. It’s as sinewy and efficient as Wyatt himself, superbly crafted and relentlessly tense. And it gets even better from here. 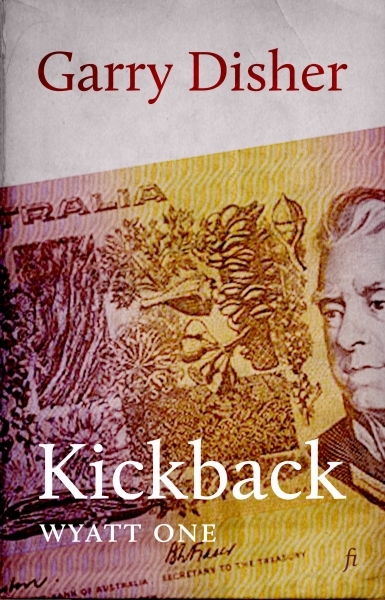 In 2000, Kickback won the international section of the Deutscher Krimi Preis, the oldest and most prestigious German literary prize for crime fiction.